The Afrobeat singer is the bete noire of Sierra Leone’s music scene. His riotously successful songs have made him some powerful enemies. For a musician used to receiving personal insults from the president and anonymous death threats with the release of every new single, Emmerson Bockarie laughs a lot. 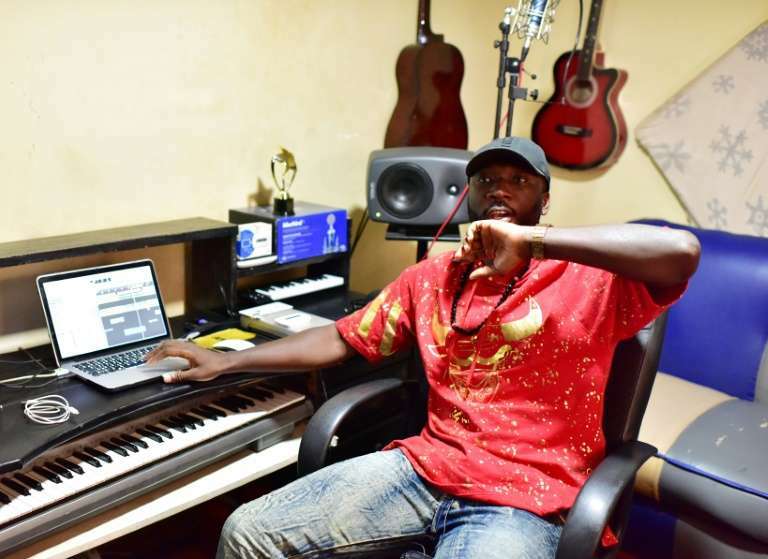 The Sierra Leonean popstar, a thorn in the side of successive governments over his 15-year career, chuckles as he recalls the countless times politicians have sought to dampen his appeal, and the countless times they have failed. “Politicians make mentions of my music on TV and radio. That means they hear the songs and are getting the message,” he notes with delight, settling down for an interview with AFP at his Freetown studio. 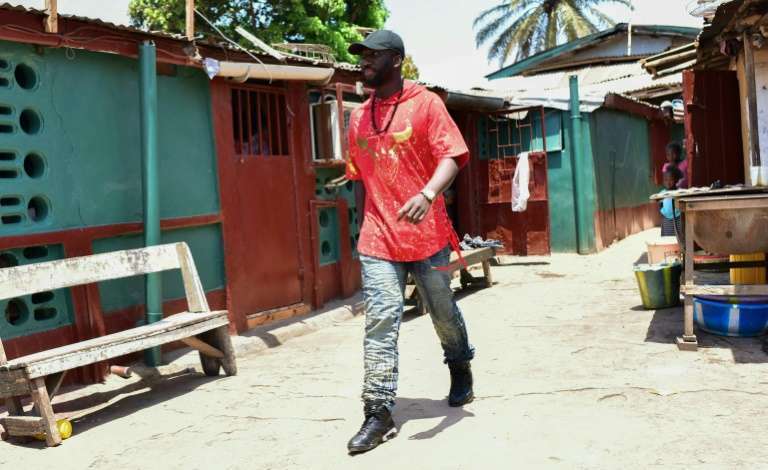 Better known simply as “Emmerson”, the Afrobeat singer is the bete noire of Sierra Leone’s music scene, one of few successful artists who refuse to play political rallies or back a party in a nation where rappers and singers are co-opted for their youth appeal. With a new president due to be elected on Tuesday, Bockarie says he expects fresh inspiration for his soft yet scathing lyrics — whoever wins — as the ruling All Peoples’ Congress (APC) faces off against the main opposition Sierra Leone Peoples’ Party (SLPP). The two parties have ruled the country alternately since independence in 1961. 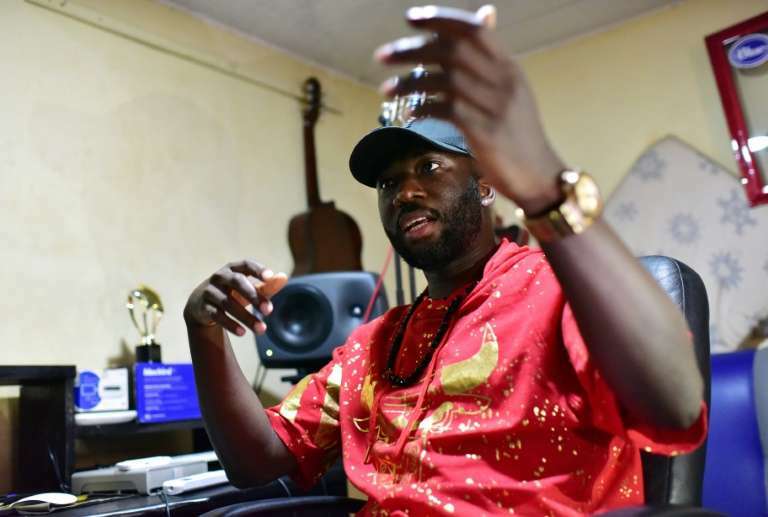 Emmerson began making music in the local Krio language after Sierra Leone’s civil war ended in 2002, when he had just left school. His first single “Yu Go See Am” ridiculed government officials stuffing their faces and skimming money off state funds while ordinary citizens went hungry. “The (then) president, Ahmad Tejan Kabbah, was like: it’s better for them to sing than to go back to the bush and be rebels,” he explains, referring to the legions of child and youth soldiers. 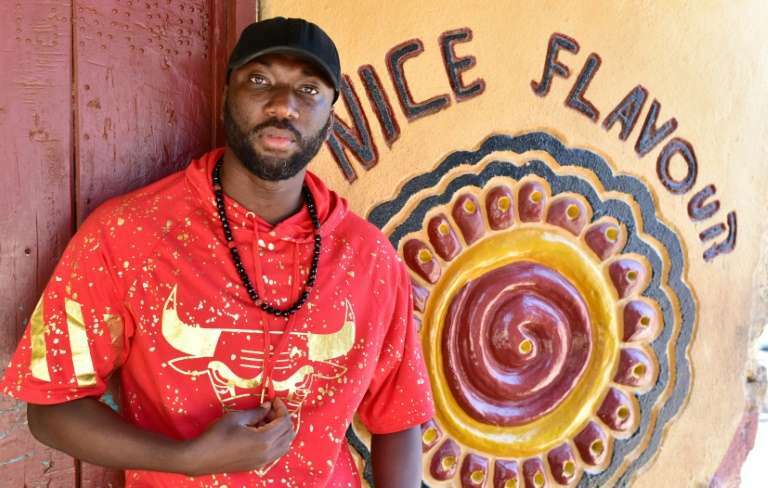 These days, he is heavily engaged in civic education, collaborating with four other artists on the song “Mi vote na mi life” last year to encourage voters deeply split along tribal and regional lines to consider policies when making their choice. “Emmerson songs are about issues affecting ordinary people,” explained Murtala Mohamed Kamara, publisher of entertainment publication the Salone Jamboree. “He has been consistent with his criticism and advocacy for change without bias to any government,” he added. A typical Emmerson song will encompass mockery of politicians’ greed and uselessness, tributes to Sierra Leone and its long-suffering people, and some element of hope for the future. His lyrics about poverty — “wi weh no born mit money/ less opportunity/ still wi wan be somebody/ e no easy eh” — reflect the frustrations of young people in a country with high unemployment and enduring social injustice. “I started listening to Emmerson’s music in 2007, and I still love him for telling the truth,” fan Ophaniel Gooding told AFP. But his riotously successful songs have made him some powerful enemies. “I know there are propaganda machines out there organised by the government to go against my music on social media,” Emmerson says. “Sometimes you have phone calls, text messages, Facebook… ‘We will light you up. If I ever see you that will be your last day’,” he adds, eyes widening beneath the brim of a baseball cap. And that is before his much-publicised war of words with outgoing President Ernest Bai Koroma, who is accused of failing to address corruption and the economic fallout of the 2014-16 Ebola crisis. “The president referred to me as a fly, that he would just blow me off,” Emmerson laughs, with a mock dismissive flick of the hand. 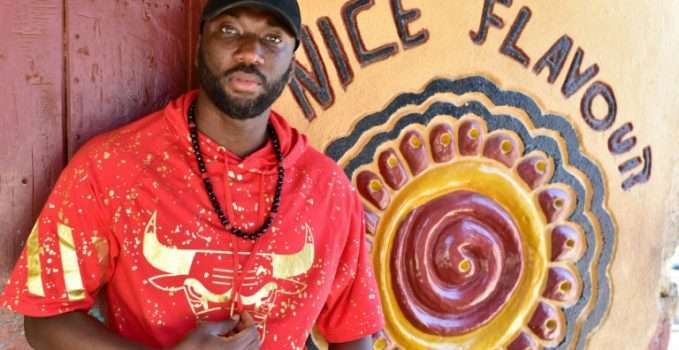 Emmerson got his revenge by sampling a soundbite of Koroma’s hand-picked successor, Samura Kamara, in the opening strains of his election-inspired hit “Good Do”. The former foreign minister admitted during a February campaign debate that the ruling party was responsible for deplorable conditions in some parts of the country. “I blame the government,” Kamara is heard admitting, before Emmerson is recorded laughing over the presidential candidate’s words. The singer sincerely believes he provides an information service for citizens, the majority of whom are illiterate and only hear government “lies” from TV and radio. But the fierce pride of his fans takes a toll. He is separated from his wife, blaming the all-consuming nature of his music, and admits he has “no time” for himself. “Whatever happens in the country, people go ‘Emmerson!’ They go: ‘where’s Emmerson?’ Am I a village, a town crier?” he asks, smiling with just a hint of irritation. Technology has also complicated his life. Previously he relied on CD and cassette sales to make money, and although YouTube and iTunes have given him a global reach, locals are now more likely to pirate his music. He is currently concentrating his energies on a label, Sugar Entertainment, that is nurturing a new generation of artists. But what motivates him on a daily basis is his “dream” for Sierra Leone, for a nation free of injustice and ethnic conflict, with jobs for everyone and a freer political system. But he will never be the one to lead his people to this brighter future. “If I go into politics who would be doing what I’m doing? We need me,” he said.